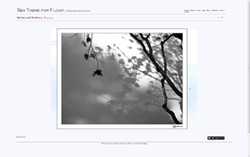 If you display your Flickr photos on your website using thh excellent Flogr like I do, here is a new simple, brisght, serene theme called Sea. You can check out the full working Sea Theme Demo here. And if you want to use it for your website, you can download it here for free here. A PDF photo-ebook made in July 2011 for SoFoBoMo 2011. of Gogol. (~ 12.5 MB file). These are photographs made along the Santa Cruz & San Mateo coasts, California – after sunset over the span of 31 days. 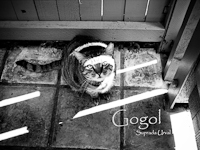 A PDF Photo ebook of Gogol. (~ 8mb file). 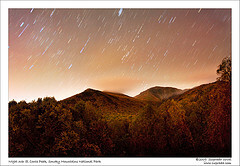 A PDF excerpt for download from the Night Photography Techniques post – This talks about how to use Photoshop for stacking for Star Trails (~ 973kb file). All PDF ebooks below require installing the free Adobe Reader to view the publications.